Jumbo salad bowls are ideal for large family gatherings. Perfect for parties and picnics. Can also hold chips, pretzels, popcorn or larger servings of side dishes. 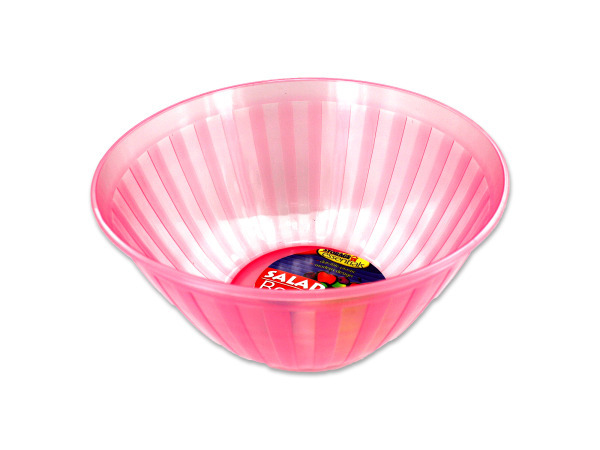 Bowls are made with plastic and come in various transparent colors which can include: blue, pink and green. They are packaged loose with an artwork label adhered to it's side. Measures 11 1/2" at it's opening and is 6" deep.